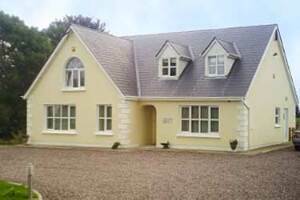 Elegant, luxurious house with spacious rooms, on a quiet road with beautiful scenic views overlooking the Druid Circle, Kenmare town, mountain and valley scenery. 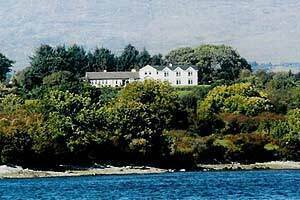 Kenmare town centre is only a six minute walk with its fine restaurants, pubs offering Irish Music sessions, gift shops and art galleries. 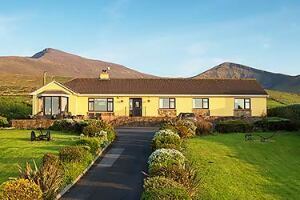 We are an ideal touring base for the Wild Atlantic Way Ring of Kerry, Beara and Killarney. All rooms are large, have free WiFi, a refreshment tray, hairdryer, TV and en suite bathoom. The breakfast menu is extensive and includes homemade breads and local free range eggs. 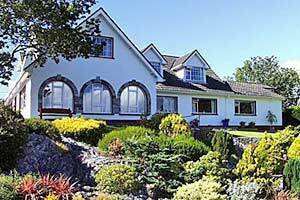 Forgefield House B&B is a spacious five bedroom Dormer house with all the latest amenities surrounded by some of the most stunning scenic views in the area. All our rooms are of a high standard of furnishing with individuality designed for personal comfort. Each room is equipped with spring water, hospitality tray, hairdryer and bedroom slippers. 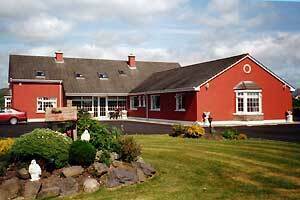 Other facilities are cot, high chair, iron, dry room ideal for golfers or walkers and private parking. Breakfast is taken in our sun room overlooking the Roughty River. 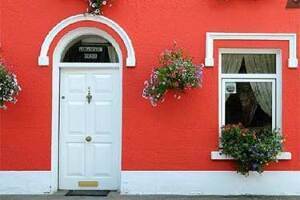 Beenoskee B&B accommodation is rated 5 stars by the B&B Owners Association. 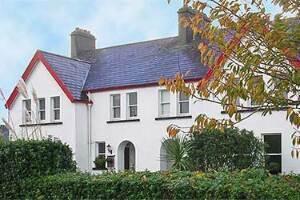 It is situated on the Dingle Peninsula at Castlegregory, with breathtaking views of Brandon Bay Beach (Irelands longest sandy unspoilt beach) which is within walking distance. You can see and hear the sound of the Atlantic waves. Beenoskee B&B offers extensive breakfast menu, local organic produce where possible. Special diets including Coeliac & Vegetarian catered for. 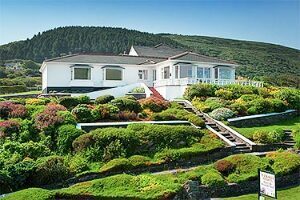 Enjoy spectacular views of Mount Brandon (second highest mountain in Ireland), Islands, lake and the impressive panorama of the scenic countryside. The picturesque Beenoskee mountain is to the back of our house All ensuite rooms are individually tastefully decorated with quality furnishings, bright modern decor, fine wood, coordinating fabrics. Each room has tea/coffee facilities, TV, orthopaedic beds, hair dryers and many extras. Please Note: We do not have wheelchair access. WE ONLY ACCEPT PAYMENT IN CASH. 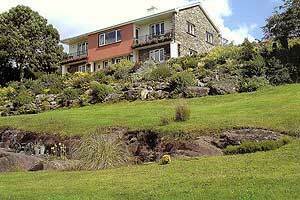 Maybe you prefer the freedom of a self-catering holiday. 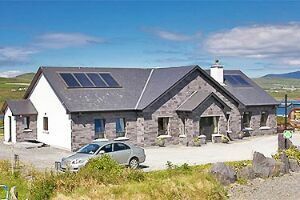 Our holiday home, The Wild Atlantic Way cottage, offers 3 double rooms for up to 6 people. 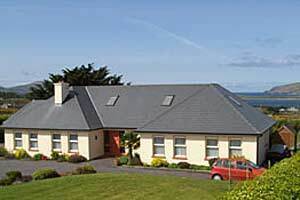 For details call Mary on +353 (0) 66 7139263 Recommended by the following guides Le Guide du Routard, Michael Muller Verlag Irland, Drotamundos, Irlande, Fran & Frank O Sullivans Guide to Ireland & Trotter Local Amenities: Surfing, scuba diving, fishing, water sports, horse riding, golf tranquil walks, mountain climbing, archaeological sites, shops, restaurants, pubs and traditional music locally.